On 6 March, firefighters wearing breathing apparatus had to force their way into the burning flat on the 18th floor of the building at 180 Bedok North Road. 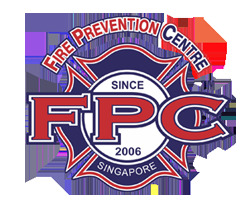 The Singapore Civil Defence Force (SCDF) was alerted to the fire at about 1.20pm. 'The fire had engulfed the entire unit due to the vast accumulation of combustible items within it,' it added, noting that firefighters' movement within the unit was impeded by heaps of items. The SCDF evacuated around 50 people from the 16th to 20th storeys. They were later allowed to return to their homes.